This isn’t just a lecture. It will be an experiential, participatory event. You will be connecting and sharing with other participants by videoconference and engaging in a guided meditation. The world is in serious trouble—climate change, terrorism, the rise of fascism, massive income inequality, and so on. Would you like to make a difference in the world? If you are inclined toward activism or electoral politics, these are important to contribute. But maybe people think that unless they want to be an activist, there is no way to help. This seminar will help you understand how you can make a difference in the world, by following your passion, by finding your life purpose. We will look at the big picture, understanding how humanity is going through what many people are calling The Great Turning, a transformation of every aspect of our society and culture. We will see how this is part of the grand evolution of the universe. We will explore the multitude of ways that one can make a contribution to this great shift we are undergoing, and you will have a chance to find your life purpose as an agent of evolutionary change. In addition to all of my psychology books, I have also published Transforming Human Culture: Social Evolution and the Planetary Crisis. In the past, I was active with Interhelp and Psychotherapists for Social Responsibility and now I am involved with the Pachamama Alliance. I have finished the rough draft of Self-Therapy, Vol. 3, which contains more advanced IFS material beyond what I covered in Self-Therapy Vols. 1 & 2. Vol. 3 shows how to apply IFS to various psychological issues, such as Eating Issues, Procrastination, the Inner Critic, Depression, Perfectionism, Anger, and Communication. 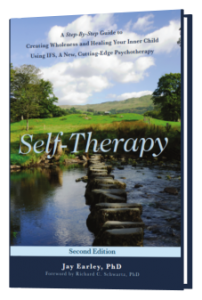 I am very excited to be expanding my writings on IFS through the Self-Therapy Series. I am looking for people who are willing to read this draft carefully and give me detailed feedback on it. You must have already read Self-Therapy. It would be nice if have also read Vol. 2, but it isn’t required. I don’t need editing because I will have it professionally edited later. I do need feedback on organization, concepts, wording, and anything else that you notice. I need the feedback in three weeks, so I can move on to publishing the book. 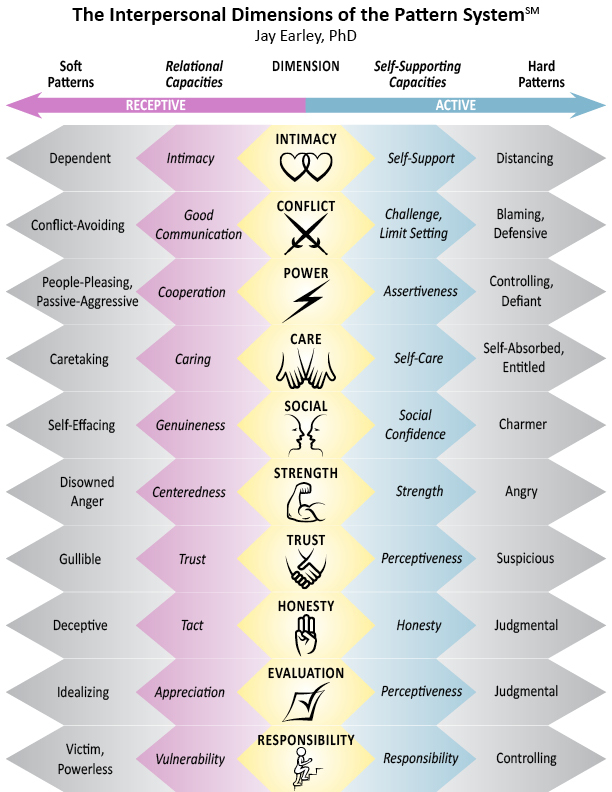 I want to have both therapists/coaches and non-professionals giving me feedback on the book, so let me know which one you are. If you want to be one of the people giving me feedback, please let me know sending me an email at earley.jay@gmail.com. However, don’t offer to do this unless you really have the time and inclination to do it, because I will only be asking a certain number people to do this and if you offer to do it, I may not ask someone else. I may get more people offering to give me feedback than I can use, so I may not use everyone, but I appreciate your offer anyway. Click here to watch an interview of Jay Earley about IFS by Tami Simon of Sounds True. Scroll down under What is IFS to see the video. Many people have told me how much this interview helped them to understand IFS. Internal Family Systems Therapy (IFS) is a powerful form of individual therapy developed by Richard Schwartz, PhD, which has been spreading rapidly around the U.S. and the world. It is user-friendly, spiritually-oriented, and very effective in working with a wide variety of psychological issues. 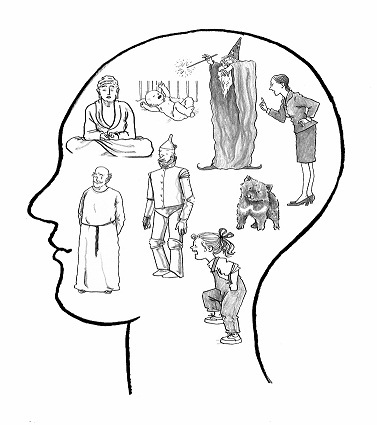 IFS sees the mind as made up of sub-personalities, called parts, which are related to each other in an inner system. 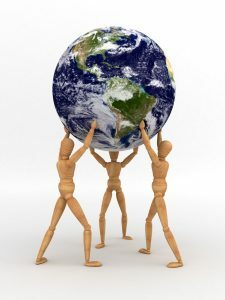 Parts often get into conflicts with each other and act in dysfunctional ways in an attempt to protect us from pain. All of this happens largely outside our awareness, and when we do see what is happening, we frequently try to banish the parts that are causing the difficulties. Yet this is hardly ever solves the problem. IFS, on the other hand, teaches us to relate to our parts with openness, curiosity, and compassion, not judgment, which allows each part to reveal its hidden agenda and the pain it defends against. This paves the way for healing and transformation, which can be accomplished by following the procedure taught in this course. This course teaches you how to access Self and work with protectors. You learn how to work on yourself using IFS and how to do peer IFS counseling with other people in the class. Therapists and coaches also take the class to learn about IFS. The course is experiential; it includes practicing IFS sessions for homework in pairs, group exercises, and demonstration IFS sessions with volunteers from the class. The course will be taught by videoconference, so we can see each other, which enhances the group connection, making it safe for you to be open and vulnerable in class. Click here for more information about the course. Here is a summary of our introductory webinars and classes scheduled for the fall of 2015. In the Advanced Ongoing IFS Classes you learn advanced techniques and understandings that go beyond what I teach in the Basic and Exiles Courses. In addition, the whole group works together on important psychological issues such as procrastination, the inner critic, depression, eating issues, and many more. Therapists also have a chance for advanced training and consultation on IFS. These classes are by videoconference. If you want to join Class 1 or 2, email Jay at earley.jay@gmail.com. Click here to enroll for Class 3 or 4 (go to step 3). You learn how to access Self and work with protectors. You learn how to work with exiles and heal them. Witnessing an IFS session can be very powerful for both the people witnessing and the person who is doing the session. If you want a chance to have a free IFS session or just want to witness and lend your compassionate presence to the experience, please join us! Learn about the Enneagram through an IFS lens. What the 9 Types look like from an IFS perspective. How to spot parts that have a specific Enneagram type during IFS Sessions. What the different challenges are for the 9 types when working with their parts. How wings and connecting points show up in IFS sessions. Each week we will focus on one of the 9 Enneagram types including a guided meditation to connect with that type of part experientially. 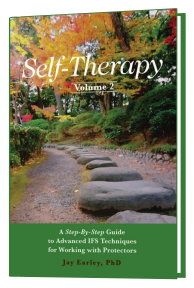 There are 23 different patterns in Self-Therapy Journey. These come from the Pattern System, which is a periodic table for psychology. I have created two quizzes—one for interpersonal patterns and one for personal patterns—to help you determine which patterns you have that you might want to work on. There are two quizzes just to keep there from being too many questions in each quiz. Each quiz takes between 4 and 8 minutes to complete. You can click here to take either quiz. You will get a score for each pattern along with a description of the pattern and information on how to work on changing it. Based on the Pattern System™, an interlocking attraction involves being attracted to someone because their way of relating meshes with yours, in that it matches how you expect people to relate to you based on your interpersonal patterns. For example, if you have a Controlling Pattern, which involves expecting to be in charge of your relationship and run the show, you will be attracted to people who have a People-Pleasing Pattern because they will comply with your desire to be in control and will try to please you. An interlocking attraction isn’t necessarily a problem. If your way of relating is relatively healthy and you are attracted to people whose style fits with yours in a healthy way, this will work out well. For example, if, instead of being Controlling, you have the Assertiveness Capacity, you can take charge when needed and can also cooperate with others or even be receptive when that is called for. This is because your Assertiveness Capacity isn’t driven by underlying fears. As a result, you can stand up for yourself and exert power, but you don’t have a need to always win out. 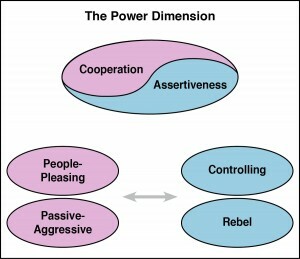 The Controlling Pattern is a problematic version of the Assertiveness Capacity. 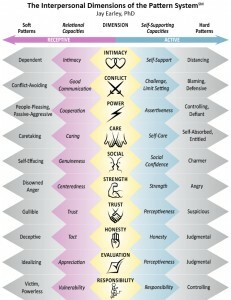 Or you could say that the Assertiveness Capacity is a healthy version of the Controlling Pattern. So if you are attracted to someone who has a capacity that interlocks with a capacity of yours, this will probably work out well. 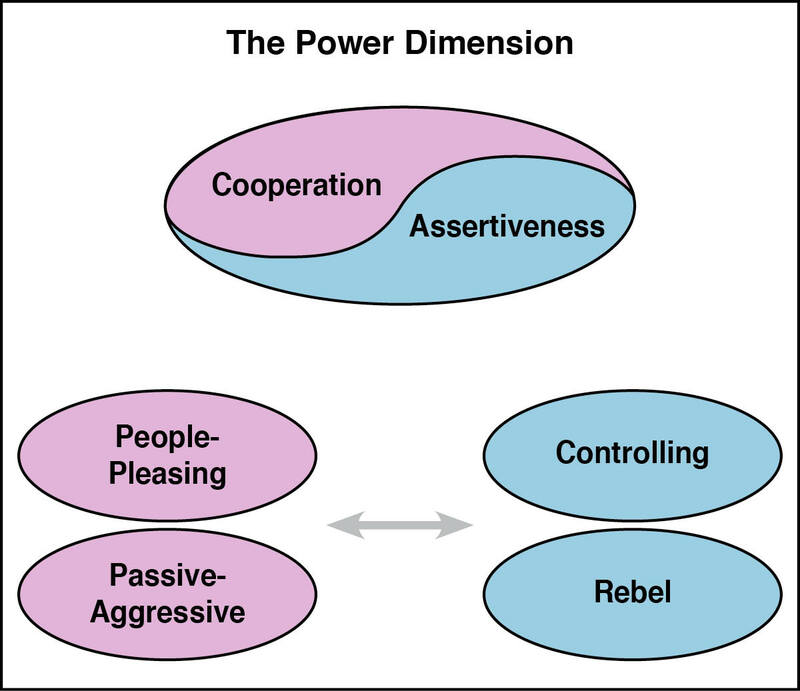 If you are Assertive and are attracted to a Cooperator, this is promising. A Cooperative person can work together with people easily and naturally, but they don’t have a need to give to others or please them. This interlocking attraction will work out well because the two of you won’t get stuck in your preferred way of relating, and you will be able to learn from each other’s strengths. You won’t get stuck in always having to assert your will, and you will be able to learn from your partner’s ability to cooperate. However, if you are Controlling and are attracted to a Pleaser, this will probably lead to trouble. At first, things will go well because you are each getting what you want and expect from the other. However, after being involved with each other for months or years, there will probably be difficulties. When the hidden problem with your partner (and yourself) becomes more apparent, the very quality that drew you to your partner will become the reason for serious conflict in your relationship. Let’s look at how this might happen. If you have a Controlling Pattern, you may be very happy with a People-Pleaser at first because they seem to want everything that you want; they seem to think and feel the same as you do. However, over time things will change. You may begin to realize that your partner doesn’t really agree with you but is just going along with you. You may start to yearn for someone with a backbone who has opinions and desires of their own. You may get annoyed at your partner for being so compliant with other people. You may long for a partner who has some spark, who is their own person, not just a doormat. The same interlocking attraction often goes in the other direction. People-Pleasers are often attracted to Controllers because they don’t really let themselves know what they want. They prefer a partner who is strong, in charge, and knows what to do, so the Controller can take the lead and make the Pleaser’s life work. 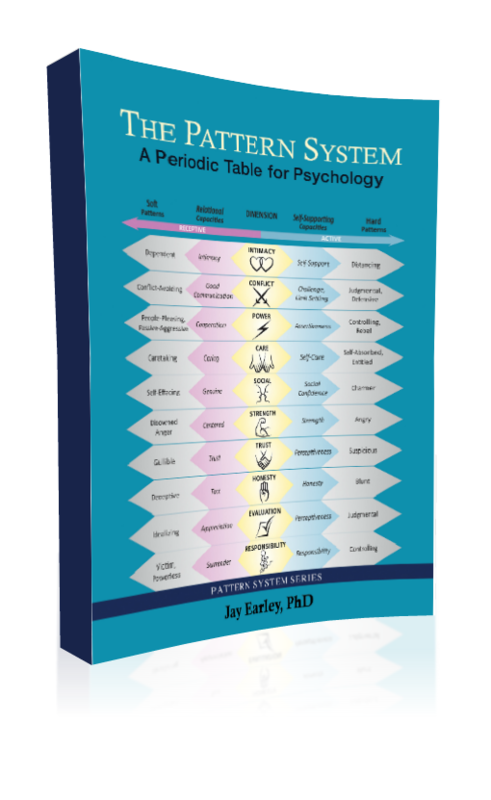 This has been an excerpt from my book The Pattern System.